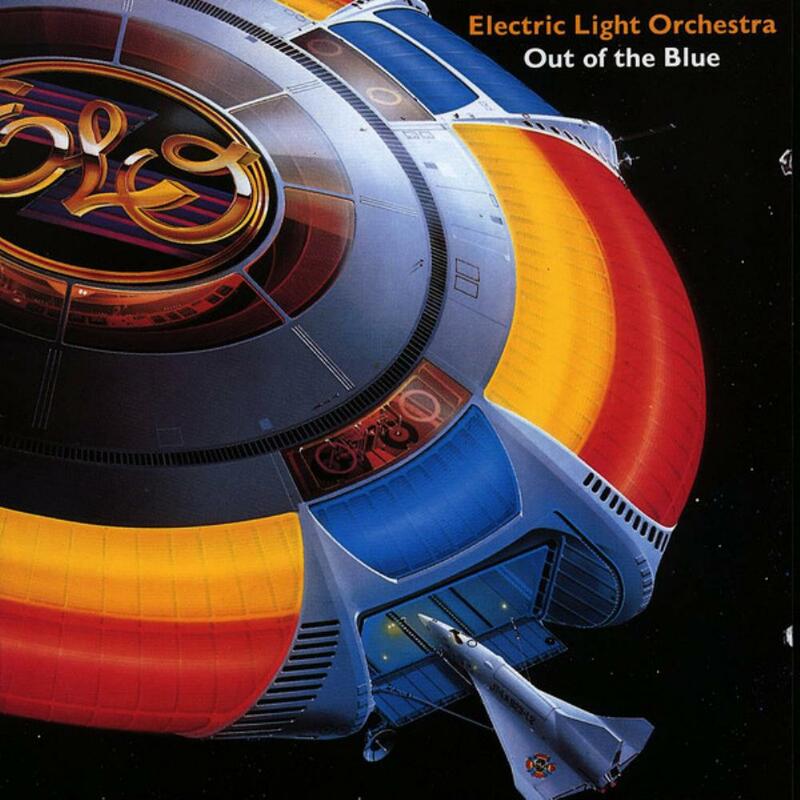 "Out of the blue" should have been ELO's crowning achievement. The band were at the peak of their success, Jeff Lynne had found the found the formula for creating hit singles at will, and they had sufficient material to justify a double LP set. While this is indeed a highly enjoyable set, it is the use of that formula which is the main shortcoming of the album. Virtually every track here has a verse/chorus structure, the sole exception being the instrumental "The whale". Consequently the album has a very commercial feel, and a disappointing lack of anything beyond fairly simplistic pop. Even the four part "Concerto for a rainy day" which occupies side three is just made up of four related pop songs about the weather. Don't misunderstand me, the quality of the songs is undeniable. Who for example can fail to find pleasure in songs such as "Mr Blue sky", "Wild west hero" etc. There are wonderfully crafted songs with perfect hooks, intriguing lyrics, and melodies other bands would die for. They guaranteed ELO success in the singles chart regardless of which tracks were actually selected for release. The bargain bins in the record shops a couple of years later though told the fuller story. "Out of the blue" must have enjoyed the dubious accolade of being the most traded-in LP in the history of rock. Not because it's a poor album, but because it is a sickly as saccharine. This album does not stand up well to repeated listening. Play it once every two or three years at most, otherwise it quickly becomes over familiar and lacking in depth. Had they simply made this a single LP release, it may have been deserving of a different fate, but a double album release is usually taken as an indication that a band has something important to say. The problem here is that ELO, and Jeff Lynne in particular, were simply saying the same thing over and over again. Take any song here, play it a couple of times, and you'll be able to sing along to it. It is a fair bet you'll also find it enjoyable, if invariably unchallenging, to listen to. Play it a few more times though, and you'll quickly tire of it. And there lies the point from a prog perspective. The lasting appeal of prog is that the music does not usually reveal itself fully until you have heard an album many times. The enjoyment grows with each listen. We can therefore safely conclude that "Out of the blue" represents the definition of an anti-prog album!